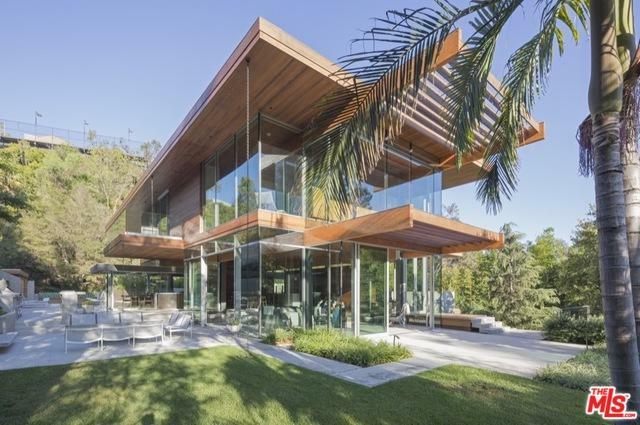 Situated behind gates and elevated high above prime lower San Ysidro Drive in the City of Beverly Hills, this newly constructed residence totaling over 8,000 sf with 3 structures (main house, guest house and pool house) was designed by one of California's greatest living architects, Ray Kappe. 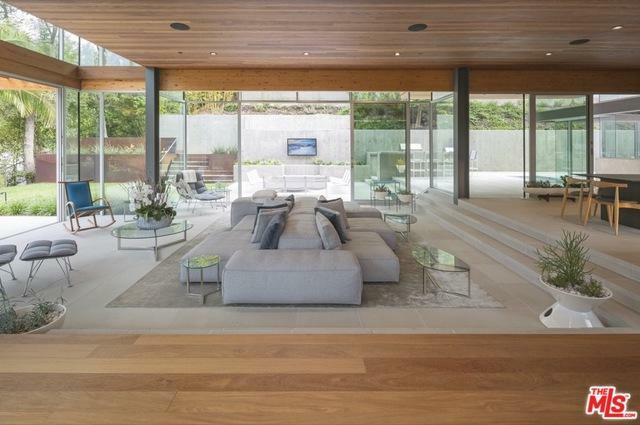 A stunning 2 story masterpiece (plus basement) features Kappe's quintessential use of poured in place concrete, glass, teak and redwood that took over 6 years to build and was completed in 2017. 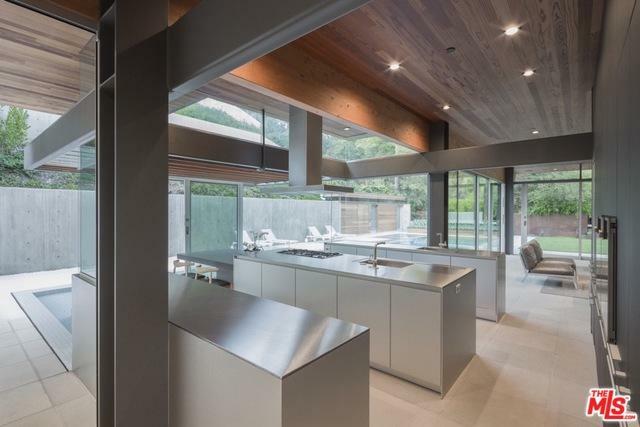 Perfect for entertaining, the main house with dramatic open spaces includes a sunken living room, dining room, Bulthaup kitchen, family room and office. The home also features a screening room, gym and wine cellar. There is also a full one bedroom guest house with kitchenette and separate pool house structure. The property which spans approx. 30,000 sf includes an incredible swimmer's pool, large lawns, expansive patios and a viewing deck overlooking the city, canyons and ocean. Listing provided courtesy of Lillian Ghassemieh of Douglas Elliman. ©2019 California Desert Association of Realtors. All rights reserved. IDX information is provided exclusively for consumers' personal, non-commercial use and may not be used for any purpose other than to identify prospective properties consumers may be interested in purchasing. Information is deemed reliable but is not guaranteed accurate by the MLS or The Jelmberg Team. Based on information from the California Desert Association of Realtors as of 2019-04-22T07:36:04.037. All data, including all measurements and calculations of area, is obtained from various sources and has not been, and will not be, verified by broker of MLS. All information should be independently reviewed and verified for accuracy. Properties may or may not be listing by the office/agent presenting the information.